I really must acquire an 8″x8″ baking pan – it was a bit of a stretch to form the three layers in my 9″x9″ pan. It doesn’t seem that big a difference, but when you think about it, that’s 25% more surface area to cover. Even so, the final result was rich and delicious, with a lovely crumb. The filling wasn’t overly sweet, the vodka providing a subtle heat. 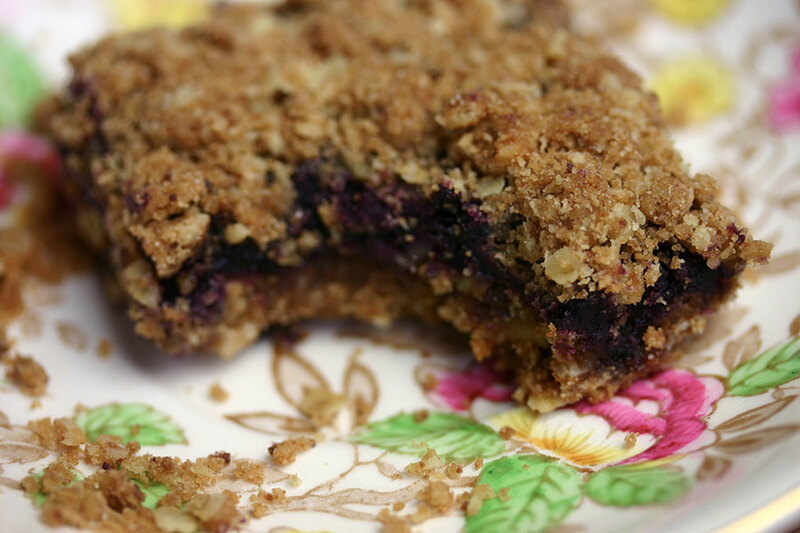 I’ll definitely be adding blueberry mazurka to my baking repetoire. Add all the filling ingredients to a small pot, and stir until the cornstarch is dissolved. Bring to a simmer over a medium flame, and stir for 7 or 8 minutes, or until thickened. Set aside to cool. Preheat the oven to 325°F (160°C). Butter or line an 8″x8″ baking tin. In a mixing bowl, combine all the dough ingredients into a crumbly mass. Pack half the dough into the baking sheet. 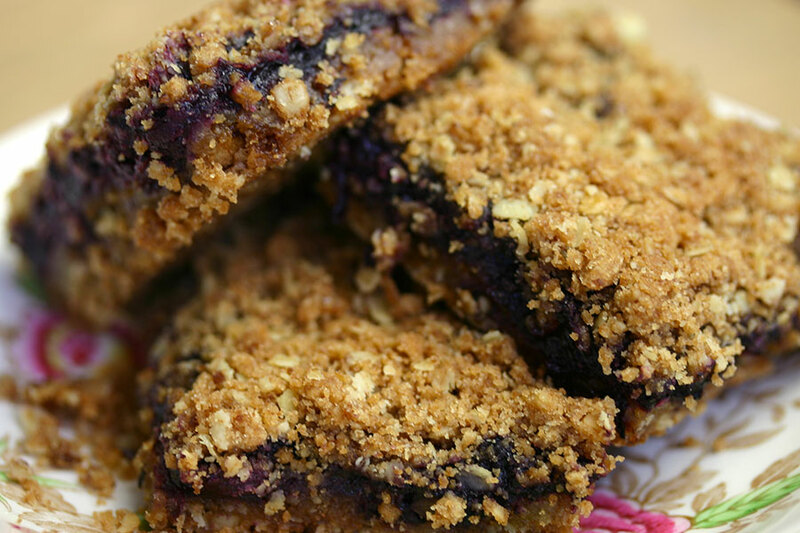 Spread carefully with the blueberry filling. Top with the remaining dough, ensuring there is no filling exposed. Pat gently into place. Bake until firm and golden – 45 minutes to an hour. Cool before slicing into bars.